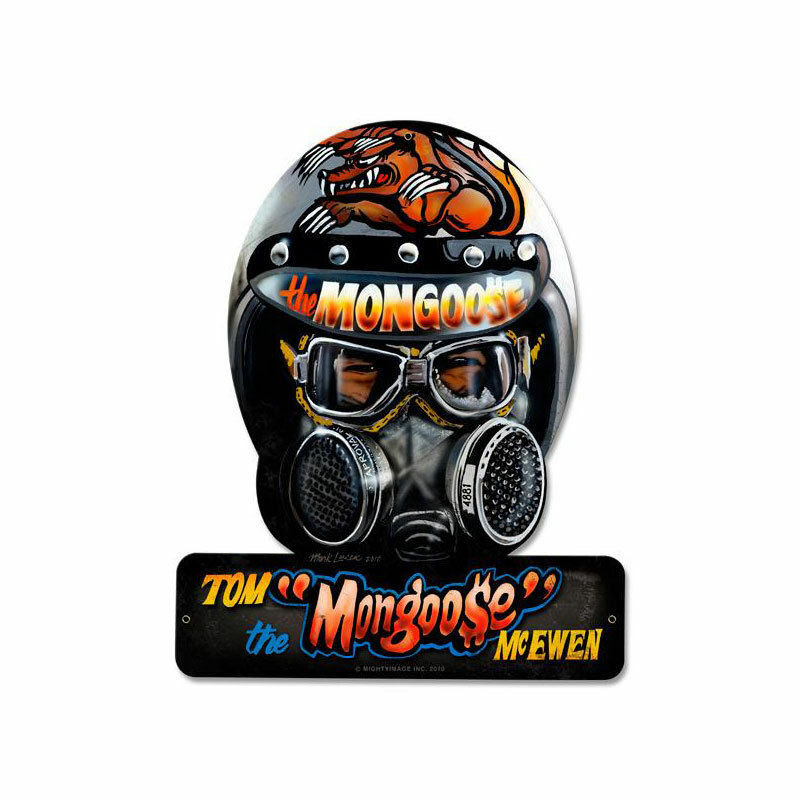 Great graphics shows Tom "The Mongoose" McEwen helmet, up close. Measures 12" 18". 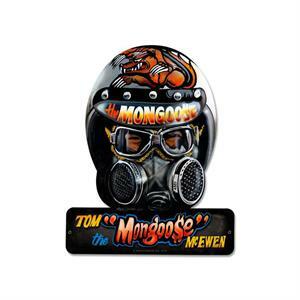 Heavy steel sign, made in the US of A, Hang it anywhere, and let the stories begun.